Your Guide to Pet-Friendly D.C.
People bring their dogs everywhere these days, often treating them like members of their family rather than pets. The good news for pet owners is that Washington, D.C. is becoming more and more pet-friendly every day, so you’ll find something fun no matter what you and your dog like to do. Here are a few of our favorite options. All of these spots are great for dogs and families to hang out and explore in! There’s nothing better than a long walk with your dog, enjoying the fresh air and experiencing the D.C. sights together. Here are just a few of the many outdoor things you could do in and around the area. Certain baseball games are designated as pet-friendly each year, offering dog lovers the opportunity to bring their pups to the ballfield and sit in a designated section of the outfield. There’s a pregame parade around the warning track, and (bonus!) ticket proceeds are donated to the Humane Rescue Alliance. With miles of trails for hiking and biking, in addition to picnic spots and plenty of fun sites to explore, your four-legged friend is sure to get tuckered out on a long walk with you in Rock Creek Park. Leashed pets are allowed throughout. Everyone knows the National Mall is a destination for history, museums, and more. Dogs are allowed on the National Mall, so long as they’re on leashes and owners pick up after them. They can’t go in the buildings, but they can soak up the history with you as you walk laps around the reflection pool, pay respects near memorials, or take in outdoor sculptures located around D.C. Plenty of food and drink spots are now pet-friendly, too, meaning you’ll get to bring your favorite pooch with you when you go out for a night on the town. Here are a few of our favorite restaurants and beer gardens that welcome pets. If you’re into wine, 8 Chains North is a great spot to taste and also hang out with your pup. It offers old-world-style wines, and well-behaved dogs are welcome in its tasting room. The winery even has a full-fenced dog park with sun shades. This Shaw neighborhood hangout boasts a dog-friendly beer garden and patio. It’s the perfect spot to sit outside in comfortable seating options and try some traditional German, Belgian, and American craft beers and foods. Washington, D.C.’s first pet-friendly bar garden, Wet Dog Tavern offers plenty of green grass, an ambient patio, and a rotating selection of beers on tap. Your four-legged friends will love hopping up on a couch next to you and relaxing over brews. For those with new four-legged additions to their families, those who are into dog-related classes (or those who haven’t tried one yet) Your Dog’s Friend is a must-visit for workshops, seminars, training, and more. 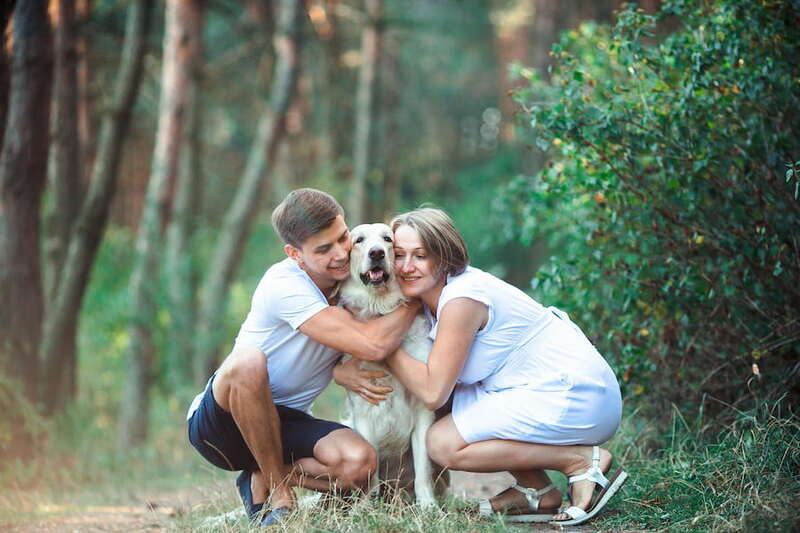 This 501(3)(c) nonprofit organization was established to help answer new pup parents’ questions, mitigate behavioral problems that might arise, reduce the number of shelter visits to return adopted pups, and encourage better behaviors — for dogs and owners alike. Whether you’ve got a brand new fur baby or just want to better understand how to treat and train one you’ve had for years, Your Dog’s Friend has something for you! Stop by for solutions that will help you dig deeper into your relationship with your favorite pooch.